As much as we hate to admit it, us ladies are sometimes bad about treating ourselves. Not only are we bad about treating ourselves, but we sometimes put our own health on hold to take care of our children and family. I am bad about this myself – I am always putting things that need doing before me, and sometimes don’t even realize it until I’m hurting or too exhausted to go any further. For this reason I depend on companies that can help me better take care of myself with my busy lifestyle. One of my absolute favorites is Puritan’s Pride – one of my favorite retailers who sell all natural products and supplements. Knowing that many of you struggle with getting in your needed vitamins too, I thought I would share with you some of my favorite products for women from Puritan’s Pride. Many of these products are perfect for busy ladies like us! For over 40 years, Puritan’s Pride has been making top quality nutritional supplements at the best value possible. Unlike some other companies, they have remained true to their original commitment of creating high quality supplements for their customers and are proud to have millions of loyal customers throughout the United States. Most of their vitamin, mineral, herbal, and nutritional supplements are made in their state of the art facilities in the United States, guaranteeing full control of their products so that each one meets their high quality standards. With quality ingredients and amazing products, it’s not surprising that everyone loves and trusts Puritan’s Pride! Looking for a multivitamin that is made especially for women, and designed to help them absorb as much of the product as possible? 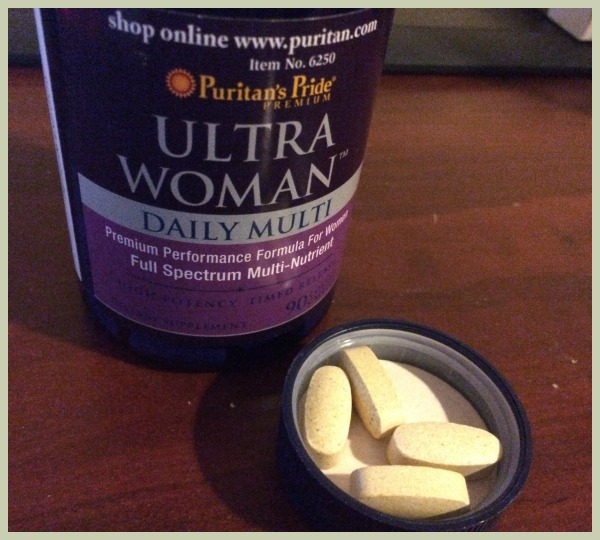 If so, we think you will appreciate Puritan Pride’s Ultra Woman Daily Multi Timed Release Vitamin. This multivitamin is designed to meet the needs of every woman, with key ingredients that women need including Calcium, Iron, Folic Acid and B-6. By taking two capsules a day, you can help your body become healthier and stronger, especially if it is accompanied by a healthy diet and exercise. Personally, I love these vitamins since the pills aren’t too big and they don’t leave a terrible aftertaste in your mouth. I enjoy the Ultra Woman Daily Multi Timed Release Vitamin so much that it has become part of my normal routine and I enjoy how amazing I feel since starting these vitamins! Based on my own experience with these vitamins, I am happy to give this daily vitamin an A rating! If you watch Dr. Oz, you have probably been hearing quite a bit about Raspberry ketones (the primary aroma compound in red raspberries). This supplement has been shown in some studies to help with weight loss, building lean muscles, and improve hair growth. Puritan Pride’s Raspberry Ketones supplement is highly concentrated and only a fraction of the cost of similar supplements on the market. This is one of those supplements I really enjoy since it leaves the most wonderful raspberry taste in your mouth. While I can’t say my weight loss is strongly benefitting from this supplement, I do think it has helped with my energy levels. Based on my own experience with this supplement, I am happy to give Puritan Pride’s Raspberry Ketones supplement an A rating. 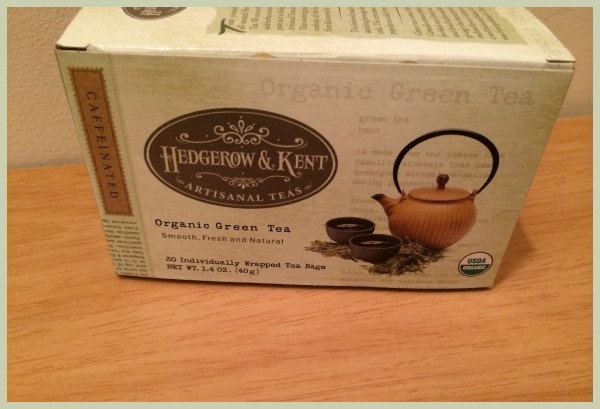 As someone who loves green tea, I was very impressed with the Hedgerow & Kent Organic Green Tea. This tea has a very pure, great taste which is something you only find with quality green teas. I personally steep mine a bit longer than instructed and find that it isn’t even bitter, something that is rare with many green teas on the market. This well balanced, high quality green tea is grown in gardens in China and India, and has a fantastic flavor. If you are looking for a quality green tea, I highly recommend this and give it an A rating! Out of all the Puritan Pride products I have tried, the Hair, Skin, and Nail Formula have to be my favorite. This supplement is specially designed to keep your nails, hair, and skin looking amazing. After a month of taking this supplement, my nails and hair looked absolutely amazing! For the first time in my life I actually have nice looking nails, which is amazing to me. Best of all, the pills are very small and tasteless, making them easy to take with your daily multivitamin. 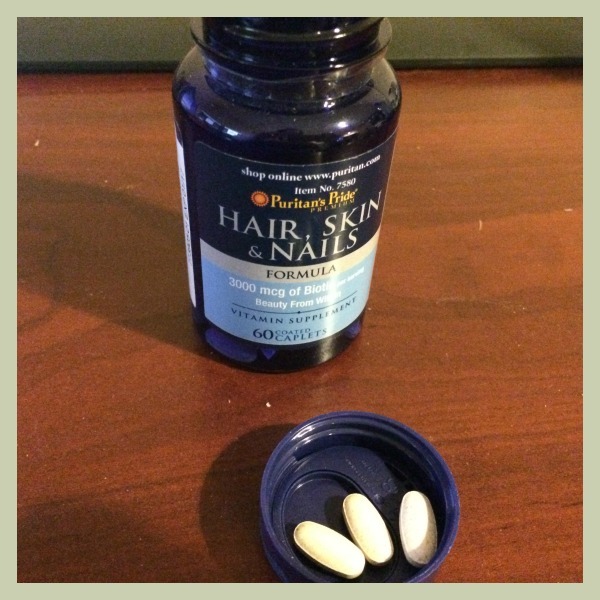 Based on my own experience with this supplement, I am happy to give Puritan Pride’s Hair, Skin, and Nail formula an A+ rating! Looking for an awesome cream to make your skin look and feel amazing? 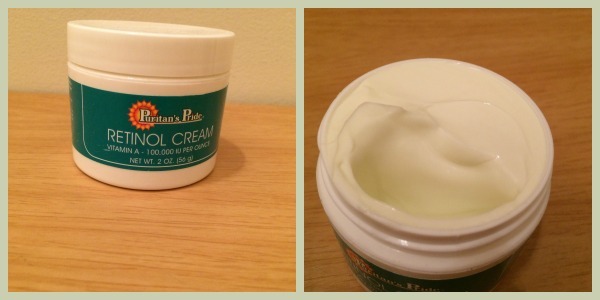 If so, we think you will love Puritan Pride’s Retinol Cream. This cream supplement is rich in vitamin A and provides extra moisture to skin for better protection to keep it softer, smoother, and looking younger! So far, I am happy to give this supplement an A rating and consider it a great moisturizer for every woman! For every woman there is one food that can quickly kill any diet – chocolate. 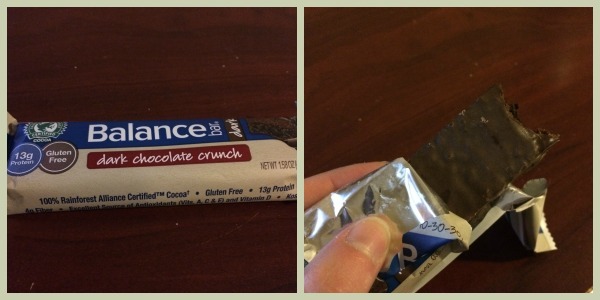 Luckily, Puritan Pride has the answer to our cravings – the Dark Chocolate Crunch Bars from Balance Bars. These delicious dark chocolate bars are a mix between a cookie and a healthy candy bar – making it the perfect choice for any woman! These bars are not only gluten free but extremely nutritious; high in protein and fiber. Right now I’m using these bars as a rewarding treat when I’m in the mood for a snack. After having these bars for a few weeks I am happy to give the Dark Chocolate Crunch Bars from Balance Bars an A rating! Would you love to try some of these amazing products for yourself? You can purchase all of these amazing supplements and more on the Puritan’s Pride website. You can also use the discount code, ILUVMOM to get an additional 10% off your order. Want to spoil yourself this Mother’s Day? We are excited to be working with Puritan’s Pride on this awesome giveaway! One of our lucky readers will win a prize pack from Puritan’s Pride featuring all the products from this review! To learn more, make sure to read all the rules below and then enter through the Rafflecopter! 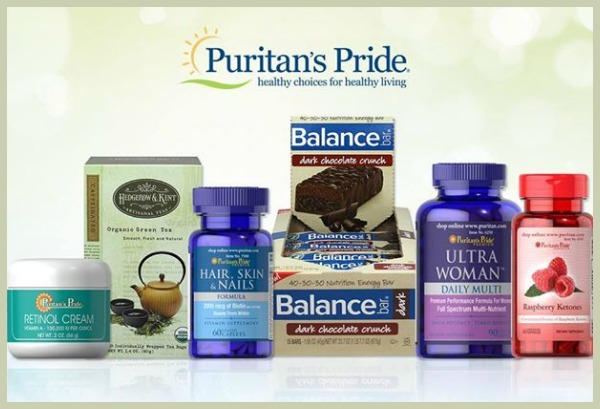 One lucky reader will win a Puritan Prize Pack ($72 value), including Puritan’s Pride Ultra Woman Daily Multi Timed Release Multivitamin, Puritan’s Pride Raspberry Kerotones 100 mg, Hedgerow & Kent Organic Green Tea, Puritan’s Pride Hair, Skin, & Nail Formula Supplement, & Balance bars Dark Chocolate Crunch Bars. Sweepstakes ends April 30th at 11:59pm ET. Disclosure: Budget Earth did not receive compensation but did receive products for review purposes via Puritan’s Pride. All opinions on this product are my own and may differ from our readers’ opinions. Facebook, Twitter, & Pinterest are in no way associated with this sweepstakes. Prize fulfillment will be handled by sponsor. I want to try the Dark Chocolate Crunch bars. They sound very delicious. I’m most looking forward to trying Balance bars Dark Chocolate Crunch Bars. I am always looking for good snacks when I am backpacking. All these products look amazing. I think I am most excited about the Hedgerow & Kent Organic Green Tea, or the Hair, Skin & Nail Formula. I can’t decide which I’m more excited for. I would like to try the hair, skin, and nails supplements. My hair has had some breakage in the past which I am trying to repair. This might just do the trick. I am most excited about trying the Hedgerow & Kent Organic Green Tea. I also would like the Puritan’s Pride Ultra Woman Daily Multi Timed Release Multivitamin as I have not been taking one and I do not always get the vitamins from my food. I want to try the Hair/Skin/Nails supplement. I’ve been trying to use a more natural routine for my skin to help with acne and oily skin. Maybe this will help too! If i won, i’d be most excited to try the hair, skin, and nails formula. i have really long hair but it tends to get dry and my nails always break, so it would help grow my nails out. my skin would also benefit from it. 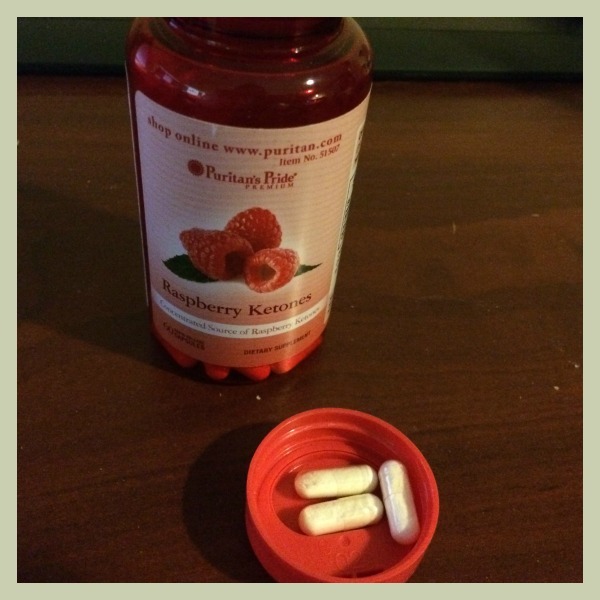 I excited about trying Raspberry Ketones. I have read that they are great for weight loss. I would be most excited to try that green tea! I just discovered that I absolutely love the stuff, and so far have only had Lipton and Bigelow. I really would love to try the Puritan Pride: Hair, Skin & Nail Formula because my nails are always breaking and my hair is dull with age. I have never tried any for this because not sure if it would be worth the $, love to give it a try. I am the most excited to try the B-12 vitamins. I heard that they can help you sleep better at night which is something I desperately need help with. Hello! Nice healthy package! I am most excited to try the Retinol Cream because I’m getting older & need to up my skincare game. Thank-you! I am most excited to try the Puritan’s Pride Hair, Skin, & Nail Formula Supplement. My skin and hair could use a boost to look their best. I would most like to try the “Ultra Woman Daily Multi-Timed Release Multivitamins”, because I take a multivitamin now. However, my vitamins are not time-released. I want to try gummy vitamins. Regular vitamins are harsh on my stomach. I’m excited since these would make me healthier! I want the Puritan’s Pride Hair, Skin, & Nail Formula Supplement for my nails. I am most excited to try the Raspberry Ketones. A few years ago my husband went to a nutritionist who recommended them as a supplement. What a great giveaway, thank you! I am most excited to try the Balance bars. I love chocolate and have been looking for a new and healthier energy bar. The Balance bars dark chocolate crunch bars. I think they would be a good snack. i am most excited about the Ultra Woman Daily Multi Timed Release Multivitamin. I need a new multi and i love that it is timed release. I excited about trying Raspberry Ketones. I have heard good things. I would like the Hedgerow & Kent Organic Green Tea. I like to drink tea. The hair skin and nails!!! I haven’t found a vitamin I like! Most excited to try the Balance Bars. I haven’t had these in a while, but I remember they were yummy. I’m excited to try the Balance Bars. I am excited about the hair skin and nails vitamins as my nails are brittle and short. I am most excited to try the Balance Dark Chocolate Crunch Bars. I love chocolate and I think this would make a good snack or a healthier alternative for dessert. I am most excited about trying the Retinol Cream. My face is really beginning to show my age and this would be perfect to help keep it looking smooth and soft. Its a toss up between the tea and the Raspberry Ketones. Ive used these supplements before and know they work! I love the hair skin and nails formula they really work well. i am excited about the Hedgerow & Kent Organic Green Tea. i love green tea. I use Puritan’s Pride for all my vitamins and supplements but I didn’t know they carried Balance bars! They WILL be added to my next order! I would really like to try the Balance Bars. They sound really delicious. I would like to try the balance bars. They look so yummy! i am excited to try the Hedgerow & Kent Organic Green Tea. i heard it was really good for weight loss. I am excited about the Puritan’s Pride Raspberry Kerotones. Dr. Phil said they really help you to lose weight and I would love to try it out. I would like to try the Raspberry Ketones the most. I could use help with my energy level. If I would lose any weight, that would be an extra bonus. I would like to try two products. First, the Retinol Cream. Secondly, the Raspberry Ketones!